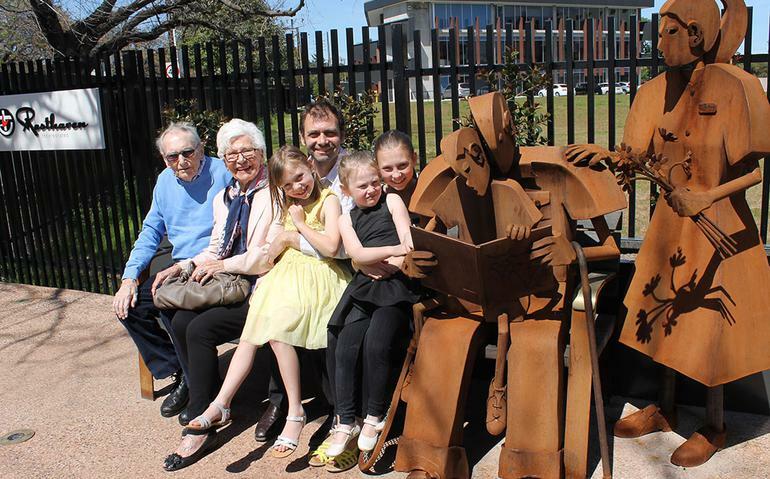 A new sculpture next to a garden bench in Adelaide, commissioned by local aged and community care provider Resthaven, invites passers-by to sit for a moment underneath the trees, and watch the world go by, alongside the sculpted characters. The public artwork, located on the corner of Greenhill Road and Bartley Crescent in Wayville, was celebrated this week, as Resthaven Board President, Mark Porter unveiled the plaque. It is the third such sculpture Resthaven has commissioned local artist, Gerry McMahon, to create. “Two similar intergenerational sculptures are located at Resthaven Mount Gambier (opened 2011) and Resthaven Port Elliot (opened 2015),” Mr Hearn explains. 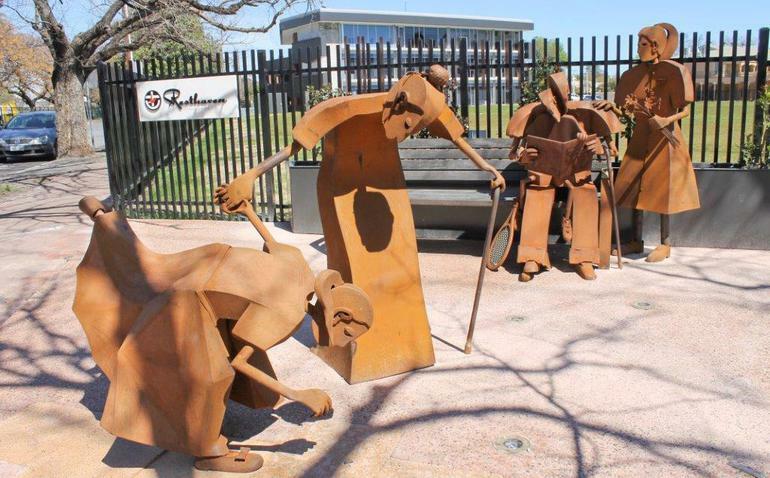 The artist used his own elderly parents and children as models in the process of developing the characters of the sculpture. “I feel there is a real connection between the old and the young,” he says. “From my own experience, I have a direct understanding of caring for an older person, and gained a direct understanding and consideration of the important work of carers when my father was hospitalised due to a fall. Mr McMahon explains the sculpture also celebrates the work of carers - through little things, like a love heart in the carer’s head band to indicate the care given. Mr Hearn says: “The themes Gerry has portrayed in this work perfectly align with Resthaven’s own values of trust, dignity and choice. “We wanted the work to convey the importance of the roles of older people, and what they give back to society, along with the significant work that carers do to make those needing support in their later years more comfortable. “The project’s intergenerational theme has relevance to the previous use of the site, which was formerly part of Annesley College. It reflects the work of the school, educating generations of young women,” Mr Hearn adds.